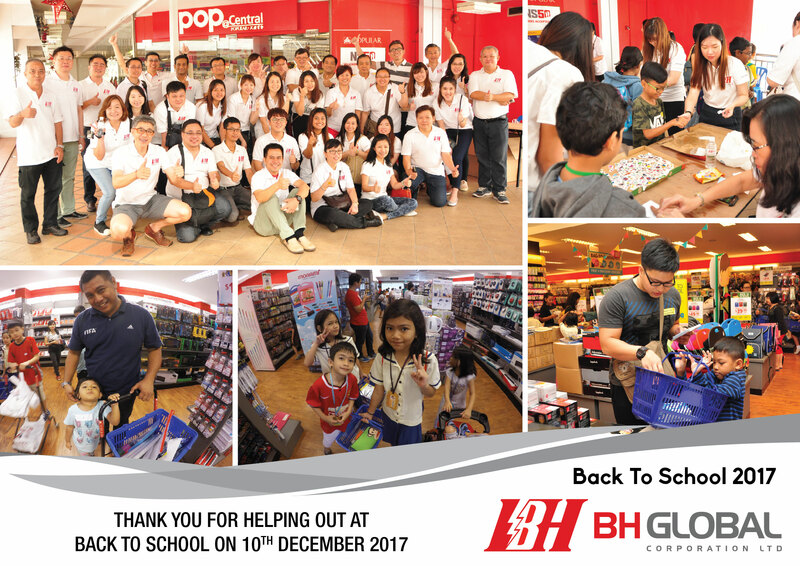 A total of 35 volunteers from BH Global staff teamed up with four other community centres in organising a ‘Back to School’ event on 10th December 2017. Assisting 350 school children in the selection and purchase of stationery and assessment books for their upcoming school term. The four regions that were covered namely are Taman Jurong, Woodlands, Jalan Besar and Tanjong Pagar. These students came from families with financial difficulties and we hope our little gesture could help families to prepare their kids for the new semester. Given $50 voucher per student, our volunteers’ role is to guide them in picking out necessary items, help in totalling up the amount for items picked up, ushering them and serve snacks to the children. The event was carried out smoothly and a successful one. BH Global will continue and support these children and their families in ways we could. BH Global strongly believes in giving in to the society and make a difference one at a time. Creating a strong business and building a better world is our main goal – they are both an essential component that shapes our long-term success.